For over 100 years, the Foundation for Child Development has provided the evidence, analysis and recommendations needed to implement systems to build better lives for young children. The Foundation for Child Development approached us to rebrand the organization under its new leadership. 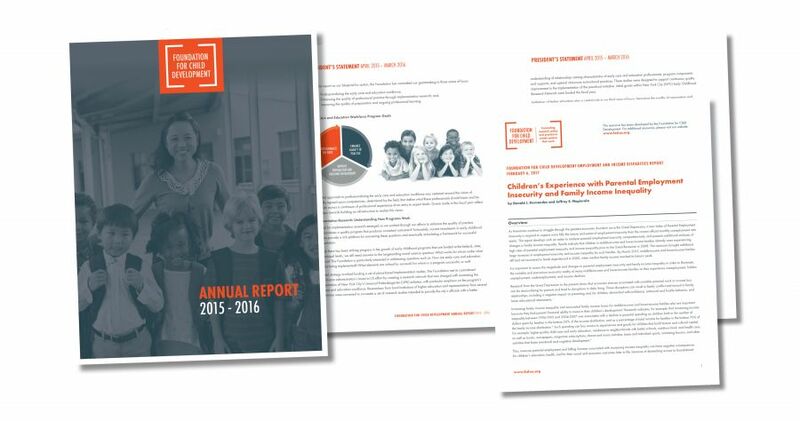 We saw an opportunity for the Foundation to position itself to both shape the debate and guide the implementation of quality early childhood programs through its research-based approach and thought leadership. The Foundation for Child Development needed tools to communicate its current programmatic direction of strengthening the early care and education workforce while continuing to recognize their past contributions in the field. The Foundation has a legacy of pioneering research in areas previously unexplored to create better outcomes for all children, and we needed to help the Foundation bridge from the areas of interest they have been known for to their current focus. The solution was clear: build a bridge for the Foundation to get from where it has been to where it is now. The Foundation already had a strong brand, but the brand needed to align with its new vision. 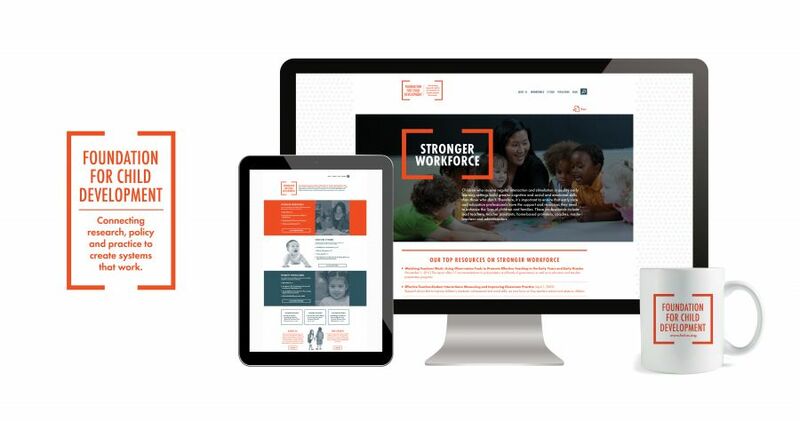 We used stakeholder research to shape new messaging and a brand re-launch to establish the Foundation’s role as an “expert’s expert” in the field of early childhood development, moving it from a provider of information to a navigator for necessary actions. We redesigned its website to match the Foundation’s capacity for providing thoughtful analysis and recommendations supported by carefully curated research. The Foundation has publicly aligned its communications efforts with its new focus to further assert its expertise and thought leadership in the field of early childhood development. By doing so, the Foundation for Child Development is poised to shape the dialogue surrounding this issue with effective strategic communications. 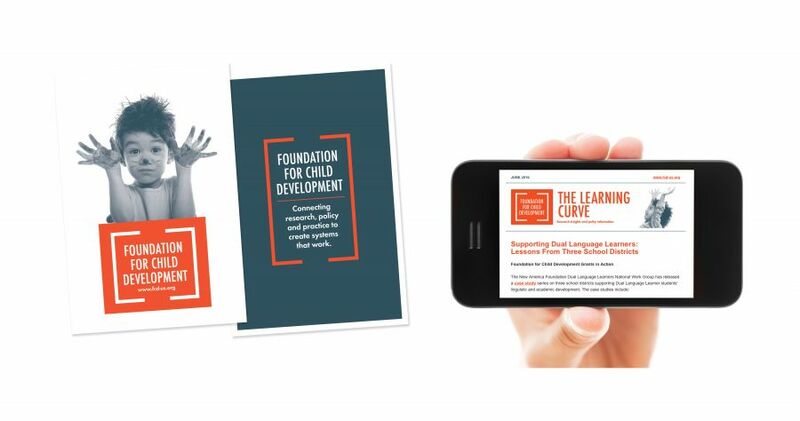 Within a month following the website re-launch, they had over 350 new subscribers sign up to receive communication from the Foundation through their two newsletters, The Learning Curve and Foundation News. One year after the re-launch, that number grew to nearly 2,300 new subscribers. We also modified the structure of the site to put more content on its pages, allowing the Foundation to better track user behavior and engagement. Since their rebrand, we have continued to support the Foundation in messaging and in releasing reports that support their efforts to professionalize the early childhood field, improve the quality of professional practice, and enhance early childhood teacher preparation and professional learning.